Google has yesterday updated its Google Translate App for Android to version 2.6. The new version now supports 3 additional languages with camera support, Korean, Japanese and Chinese. But importantly the new update supports offline use. This can be done through downloadable offline language packs. If you are visiting a foreign country then you need a good translator and without and of the costly data plans. Google has now come up with a offline downloadable language pack for your Android devices. 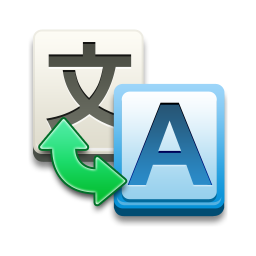 Setting up the download of the language packs is easy. To download one or more of the 50 available language packs, go to Menu > Offline languages, then tap on the pin icon next to the languages you want to download. You'll get a prompt to choose whether to download the files over your mobile data network or over Wi-Fi. Choose Wi-fi if possible as the download pack are data heavy. Though the offline feature is a very good addition by Google the online version is always better as it lets you say the translated text aloud. iOS users will have to wait for offline packs as of now.Translate, keep in mind that it doesn't have all the features of the online version. Download the Google Translate here from Google Play. And from within the App download the offline language packs. Currently the App supports Afrikaans, Albanian, Arabic, Armenian, Azerbaijani, Basque, Belarusian, Bengali, Bulgarian, Catalan, Chinese (Simplified), Chinese (Traditional), Croatian, Czech, Danish, Dutch, English, Esperanto, Estonian, Filipino, Finnish, French, Galician, Georgian, German, Greek, Gujarati, Haitian Creole, Hebrew, Hindi, Hungarian, Icelandic, Indonesian, Irish, Italian, Japanese, Kannada, Korean, Lao, Latin, Latvian, Lithuanian, Macedonian, Malay, Maltese, Norwegian, Persian, Polish, Portuguese, Romanian, Russian, Serbian, Slovak, Slovenian, Spanish, Swahili, Swedish, Tamil, Telugu, Thai, Turkish, Ukrainian, Urdu, Vietnamese, Welsh, Yiddish languages. Please post your comments on the App. Do visit here for more about updated Google Translate which supports Hindi handwriting input. I liked your post very very much.Thanks for posting. The Phoenicians reached the peak of their culture around 1,000 BC, when they had established trading colonies in Cyprus, Sicily, Sardinia, Africa and Spain professional translation. Their North African city of Cartage was founded about 800 BC and remained strong until the sack of the Romans in 146 BC.